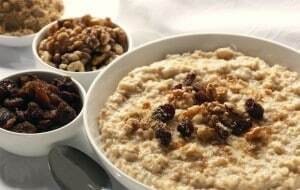 Healthy living requires some commitments and disciplines by denying yourself of some of your favourite foods. Many of us are involved in a kind of intermittent fasting to discipline our body in a view to achieve some health results. Intermittent fasting can be viewed as a period of your last meal of a day to your first meal of the next day. Just like the real fasting, there are different methods of intermittent fasting. You can decide to be eating only high-density earth grown foods to enjoy the benefits associated with it. This is where the word “nutritarian” comes into play. The idea of giving a break to some unhealthy foods and take up high-density earth grown vegetarian foods or plant-rich foods to help you balance your hormones and improve your overall healthy living is known as nutritarian lifestyle. A nutritarian is a person who takes a diet program that involves eating high-density micronutrient foods. A nutritarian disciplines his/her to eating the diet rich in nuts, fruits, seeds, vegetables, mushrooms, onions, berries, beans, whole grains, and specifically eating leafy greens which are highly nutrient-dense foods. Ninety percent of nutritarian diet is from the above listed foods but with little or no dairy. 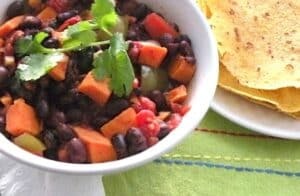 Nutritarian diet has been attributed to viable weight loss, enhanced immunity against any form diseases, as well as improving the quality of life by feeding your body with high-nutrient and delicious foods. Consume a large quantity of salad daily as your major dish. Consume at least a half or a full cup of beans daily as you may wish, but preferably in the range. Consume a double-sized serving cup of moderately steamed green vegetables daily. Consume not less than 1 ounce of seeds and nuts and daily. In the case of the male, consume 1.5 ounces. Consume onions and mushrooms daily. Consume 3 fresh fruits daily. 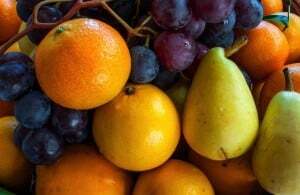 Try to vary the fruit. The rate of diseases such as dementia, heart disease, cancer, and stroke will be cut up to 80%. Calorie counting will stop suddenly. It detoxifies your body and burns out fat to prevent obesity. You are systematically consuming delicious foods that are anti-cancer in nature. It keeps you healthier with energy even as you age. Your health crisis may come to an end; thereby saving you huge cost on medical expenses. You will achieve a perfect weight while keeping you stronger. 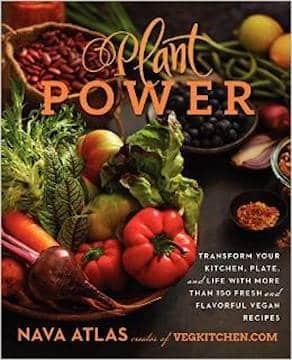 Taking high-density earth-grown vegetarian foods as your intermittent fasting method give you the excellent health benefits you may think of. High-density earth-grown vegetarian food system is not the only ends mean to your health; however, nutritarian diet also boosts your health and as well enhances vitamin B12 levels, vitamin D, consumption of higher fibre, intake of enough omega-3 and also reduction in calories, glycemic, and sodium consumption. In summary, nutritarian diet is an eating method that enhances your good health, boosts your immune system, and helps you maintaining ideal weight. I’m so proud of and happy for this big hearted Champion! Congratulations on gaining 40 pounds over the last year from a life threatening low body weight. So happy to see your success! You have held such a positive attitude throughout your journey and the result is your physical, mental and emotional improvement. Stronger everyday! You are a beautiful example of courage, self love and discipline. This salad should include lettuce, tomatoes, shredded onion, and at least one shredded raw cruciferous vegetable, such as chopped kale, red cabbage, nappa cabbage, arugula, watercress, or baby bok choy. Use a variety of greens, including romaine, mixed greens, mesclun mix, arugula, baby spinach, Boston lettuce, and watercress. For added veggies, choose from red and green bell peppers, cucumbers, carrots, bean sprouts, shredded red or green cabbage, chopped white and red onions, lightly sautéed mushrooms, lightly steamed and sliced zucchini, raw and lightly steamed beets and carrots, snow peas, broccoli, cauliflower, and radishes. I often add some frozen peas and beans to my salads too. Add a healthy dressing (one that is nut and seed based). I usually make a huge salad, share it with family members, and have enough left over for later in the day or the next day. Remember, for superior health, the green salad is the main dish, not the side dish. This means eating a bean burger, a bean loaf, or a veggie-bean soup or putting beans on your salad or in a stew or chili in the evening. In our household, we almost always make a giant pot of veggie bean soup once a week. After eating the soup that day, I portion it into eight containers and refrigerate or freeze it so I can take it to work with me or use it when I need it. 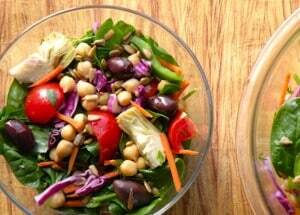 Quick tip: Use some of the soup you made as a unique salad dressing base by adding some flavored vinegar and nuts. Blend in a high-powered blender until smooth. This means a bowl of asparagus, chopped kale with a delicious mushroom/onion sauce, green beans, steamed zucchini, bok choy, artichokes, cabbage, or collard greens. Don’t overcook greens; thirteen minutes of steaming is plenty. The longer you cook them, the more micronutrients you burn off, which wastes the effects of phytochemicals. 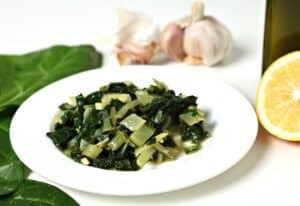 Green vegetables need to be fully chewed (to the consistency of nearly liquid in your mouth) for you to fully benefit from their anticancer phytonutrients. Remember, don’t use nuts and seeds as snacks. They are the healthiest way to take in fat with meals and demonstrate a powerful effect on extending the human lifespan. The fat from nuts and seeds, when eaten with vegetables, increases the phytochemical absorption from those veggies. That’s why I typically recommend that nuts and seeds be part of your salad dressing, too. Also, at least half of this intake should be from walnuts, hemp seeds, chia seeds, flaxseeds, and sesame seeds because they have unique protective properties, such as lignans and omega-3 fatty acids. Eating 3 to 4 ounces of nuts and seeds a day isn’t too much if you’re active and slim. There’s no problem with eating even more than 4 ounces of nuts and seeds per day if you’re an avid exerciser or athlete who needs the calories. I have worked with professional football players and Olympic skiers who follow this diet style; obviously, they need lots more seeds and nuts, and other food too. Eat nuts and seeds raw, or just lightly toasted, because the roasting process alters their beneficial fats. Commercially packaged nuts and seeds are also frequently cooked in oil and are heavily salted. If you want to add some flavor, lightly toast seeds and nuts in a toaster oven on one low toasting cycle. This doesn’t deplete their beneficial properties. Don’t toast to the point of dark browning, however, as this can cause carcinogenic compounds called acrylamides to be formed. You can also bake them in a 250˚F oven for about fifteen minutes, or until very lightly browned. Both mushrooms and onions have powerful anticancer benefits. Mushrooms are better eaten cooked because some mushrooms contain a mild carcinogen called agaritine. It is gassed off during cooking. Only the Agaricus genus of mushrooms—which includes the common white, brown, button, cremini, and portobello mushrooms—contains agaritine. Shiitake, chanterelle, enoki, morel, oyster, and straw mushrooms belong to different genera that don’t contain agaritine. But they should also be cooked to reduce the risk of any potential contamination with microbes. 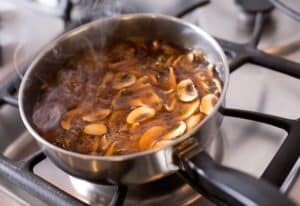 It’s still not entirely clear whether agaritine is a health risk, but play it safe and cook most of your mushrooms with your other vegetables, or water-sauté them in a wok or other pan. Keep a container of cooked mushrooms in your fridge to add to salads and vegetable dishes regularly. Fresh fruits aren’t just nutritious and delicious, they also protect against disease. The phytochemicals in fruits have anticancer effects, and berries have even been shown to protect the brain from dementia in later life. Try to eat one serving of berries or pomegranate a day as part of your total fruit intake. When eaten with a meal, vegetables dilute and slow your body’s absorption of glucose and fructose, so it’s best to eat fruit as part of your vegetable-based meal, either mixed in with your salad or as a dessert. If you’re physically active, you can certainly eat more than three fruits a day, but it’s still best to avoid fruit juice and too much dried fruit, such as dates, raisins, figs, and prunes, because they are calorically dense and could elevate your blood sugar if you eat them in large amounts. When making a recipe or dessert that contains dried fruit for flavor and sweetness, limit the amount to 2 tablespoons per serving. That means one Medjool date or two Deglet Noor dates per dessert serving; otherwise, you could be consuming too much simple sugar. That’s it. Six simple guidelines to follow. That’s not so difficult to do, is it? Can you imagine what would happen if everyone in the United States followed these guidelines? We would stop the healthcare crisis in its tracks and save billions of dollars on medical expenses. We would save millions of lives from premature death. We would reduce rates of heart disease, stroke, dementia, and cancer by more than 80 percent. We would have less crime, and a more successful, intelligent, and productive workforce. We would have many fewer people in nursing homes, fewer stroke victims, and fewer elderly people suffering from dementia and unable to enjoy life. Nutritarian Daily Checklist (Make copies of this chart and check off each point each day. Eat a large salad as the main dish for at least one meal. Eat at least a half cup, but preferably closer to 1 cup, of beans. Eat one large (double-size) serving of steamed green vegetables. Eat at least 1 ounce of nuts and seeds if you’re female and at least 1.5 ounces of nuts and seeds if you’re male. Half of them should be walnuts, hemp seeds, chia seeds, flaxseeds, or sesame seeds. Eat some cooked mushrooms and raw and cooked onions. Eat at least three fresh fruits. 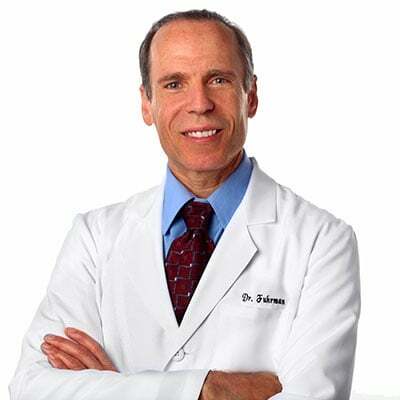 Visit Joel Fuhrman on the web at Dr. Fuhrman. You chose to follow the Nutritarian diet because you made the logical decision to obtain the best health possible. You have learned that drugs, surgery and medical care are insufficient to protect you against a medical tragedy. You Eat to Live to avoid the need for medicines, to avoid the need for medical intervention, to avoid invasive surgery, and to avoid the medical tragedies that are so prevalent in our society. You decide to Eat for Health because you realize life is valuable and worth living fully, with your full mental faculties and physical abilities maintained into your later years. However, for most of us, there is a catch, an internal conflict —we want to be healthy, but there is some pleasure seeking part of us that operates without regard to the consequences. At times, we give into an inner voice that says it is okay to eat foods that we know are a bad choice. Giving up unhealthy foods that you like, along with the difficulties of change, can derail your best intentions to establish a healthy diet and live the Nutritarian lifestyle. The key is to learn about the importance of a healthy diet and “practice” by eating healthy foods until you instinctually prefer them. These concepts are explained in more detail in The End of Dieting. All of my books stress a Nutritarian life, and all are all great reads; each one has its own emphasis. For instance, if you prefer to ease into living the Nutritarian lifestyle Eat for Health outlines a gradual process to preferring this health-promoting diet. Learning all about food addiction and cravings is crucial to being able to make dietary changes. You know that your diet and health are important, but your primitive brain doesn’t want you to change. Your primitive brain will always want you to avoid discomfort, and because changing to a healthier diet creates both emotional anxiety, and even physical discomfort (or withdrawal); your decisions may be influenced by your primitive brain’s subconscious desire to avoid this discomfort. Your primitive brain may be looking for excuses and rationalizations to explain why making a significant diet change is too difficult or just not for you. This primitive portion of your brain can be your body’s worst enemy. You have to learn about the addictive nature of processed foods and make a commitment to avoid them for a period of time to break free of this addiction. The only way that works is to let no excuse stand in your way. If you feel poorly for a few days as you improve your diet that is perfectly normal and should not undermine your commitment. Your feeling poorly is your body detoxifying, which supports the idea that you need to get your body healthier. If your body were truly healthy, it would not feel crappy when changing over to a health-supporting diet. There is a solution for every potential obstacle when you allow yourself to look for it. For excellent health and life expectancy, concentrate on consuming foods that contain a lot of micronutrients and fewer calories. Micronutrients are vitamins, minerals, and phytochemicals; they do not contain calories, but they have vital functions in the body. Calories come from fat, protein and carbohydrates. You want to take in the foods that contain the most micronutrients per calorie. You want to get the most nutrient bang for each caloric buck. When you eat this way, calorie-counting no longer matters. High micronutrient foods come straight from nature; whole plant foods, such as vegetables, fruit, seeds, nuts and beans, should be the basis of a healthy, anti-cancer diet. Without adequate micronutrients, food cravings, discomfort, and the demand to over-consume calories can be overwhelming and derail any effort to lose weight or eat healthfully. Unhealthy eating most likely is the norm with those around you, but you don’t have to follow the crowd. Be proud of yourself for being different than those practicing slow suicide with food. Learn as much as you can to understand the benefits of healthy eating. Gaining knowledge helps us change our behavior more easily. My patients and the thousands of people who have read my books and articles are successful because they have become experts in nutrition as they follow my program. They know that heart disease, diabetes, and even cancers are mainly the result of poor diet and lifestyle choices, not primarily the result of genetics or aging. Once you truly understand the powerful effects—both positive and negative—that food can have on your body, you will feel empowered to eat healthfully and to stick with it. The ability to make the right decisions consistently requires planning. You need time to prepare and organize your life so that you have good-tasting healthy foods around you at all times to lessen temptation. Creating a quick and simple weekly schedule will help you organize and utilize your time more efficiently. Make shopping lists. Cook enough for multiple meals each time so that you do not have to cook every day. Take advantage of time-saving foods like frozen vegetables and bagged salads. Make sure to leave room for exercise, recreation, and spending time with family. The better you plan your schedule in advance, the easier it will be to adopt your new habits into your life. As you learn to enjoy the taste of healthy foods, your desire for unhealthy food will continue to lessen. Try new and different produce, for example dishes made with artichokes or exotic mushrooms, and experiment with different herbs, spices, and salt-free seasonings to create dishes that you love to eat. You will find lots of terrific recipes in my book the Eat to Live Cookbook and my other books, The End of Dieting and Eat for Health (which contains 150 recipes). My Member Support Center has a recipe database of over 1500 recipes. Our natural sweet tooth has a purpose—sweets from fresh fruits and sweet vegetables provide us not just with carbohydrates for energy, but also with a large assortment of phytochemicals and other substances that prevent illness. Fruits make the best desserts. For example, try blending frozen berries and bananas with a little hemp milk and vanilla extract for a delicious and easy berry-banana ice cream. Leafy greens are the foods with the highest nutrient to calorie ratio. Eat one large salad every day. You can do this right now. It can be your first step in obtaining great health. It is important that you use a healthy dressing to keep the salad healthy. I love to create delicious, healthful, nut-based salad dressings that taste so good you will not only enjoy salads, but you will also love the dressings! For those that don’t have the time to create a salad dressing, you might want to try some I’ve developed. Be sure to use lots of onions, mushrooms, and beans in your cooking as they have powerful associations with lower rates of breast and colon cancer. A blood test is the best way to know if you are not lacking in any important vitamin. No one diet can supply the optimal amount of nutrients for everyone, and individuals have different abilities to absorb certain nutrients. One of the most important deficiencies is Vitamin D, the sunshine vitamin. Over half of the world’s population is deficient in vitamin D.
A healthy diet can be sub-optimal in zinc, B12, iodine, Vitamin D and DHA for many people. If supplements are necessary, take the time to read all the ingredients. The problem is that most multivitamins and nutritional supplements contain dangerous forms of nutrients, such as folic acid and Vitamin A, which can increase one’s risk of cancer. Review my Vitamin Advisor for safe alternatives. Life has so much to offer. My hope is to help you enjoy it to your maximum ability. I met Heidi Vincent about 6 or 7 years ago as we were members of the same dojo, Posener’s Pankration MMA. I joined the dojo as I had hit my mental overweight number (150 lbs) to lean out and learn some self defense skills. We sparred and trained together and she was always a great, fully participating partner. Always giving 100 %. I ended up leaving the dojo after moving farther away and had lost touch. Until, one day, I needed to insure a vehicle for work. Our mobile agent was away so I decided to chance the insurance agency across the street. Lo and behold, Heidi worked there! We decided that we would meet up at lunch hour for a walk or a run or some sort of exercise. We had fun times creating gym equipment from truck accessories and parts! By this time I was headed in the opposite direction with my weight. I was underweight at about 115 lbs. I engaged Heidi’s personal training coach services to help me gain weight and muscle mass. I knew I couldn’t do it on my own. We worked together throughout the summer and I popped back up to about 125 lbs. I was promoted at work and it impacted my schedule heavily. I was travelling a couple weeks a month and unable to keep a steady training schedule. After that I was moved to a new location and given a special project to manage. All through this Heidi would reach out with a message or a voicemail. Just checking in. I found it so thoughtful. My special project quickly became a nightmare of excessive hours and short staffing. I was giving everything at work to try to keep this project together. The fact was, it impacted my mental and physical health severely. I was diagnosed with severe depression, acute anxiety and anorexia. I ended up taking disability leave. I had dropped to about 95lbs. I engaged Heidi’s services again to pack on some pounds. Imagine me and my 90 lb self on that first Saturday. I could barely lift a 5 lb weight over my head. Our first sessions were like, 3 reps and 2 sets before I couldn’t lift anymore. My core remained pretty good but I had lost a lot of stability and balance. So, we worked through it. All this time my mental state was deteriorating. I experienced a full blown panic attack in December 2017 and another debilitating one in January 2018. My weight went sub 80 lbs and I was hospitalized for 18 days. Heidi was always there with an encouraging text or call. She stopped and visited me in the hospital. Once I was stable, she organized a workout together. I wanted to work on me. I wanted to feel like I was doing something to get myself well. I was a basket case. She saw that and we tried a few sets but I was not able to push through. From there, she took my hand and we sat together and talked. Well. she talked and I cried. We did a little yoga. I cried. Then she had me just lay in Savasana, close my eyes and breathe. She held my hand and rubbed my arm while I bawled my eyes out. And I became calmer. She was the rock I needed right then and there and giant hugs filled with love and acceptance after. I am ever grateful as that day was the first real recovery day. From there we have been working to pack on the mass. It’s slow going but I wouldn’t want to do it with anyone else. Heidi just makes me work and want to do better. Part of that is my own work ethic but she’s right there with me. Supporting me either physically and/or mentally. Catching me before I bail off the balance ball and laughing with me when she almost misses. I find I can be completely honest with her. She’s a great listener and gives well thought and sage advice. Most of all she is patient. She will push you but is very observant. If she sees you struggling she will step in with encouragement. She’d rather see me do 3 complete sets with 8 lbs than bump the weight up to 10 lbs and have me fail halfway through. She knows my motivations. She knows she just has to say “I don’t know, do you think you can try this?” and I’ll be right there to try my best. As you can tell, I’m a Heidi fan. I’m ever grateful and thankful to have her as part of my recovery team. She is an incredibly valuable member and my favourite! What’s in it for you – Personal Training? My passion is to engage and challenge people to live healthy, more active lifestyles. If you embrace yourself now and focus on improving your overall mental, physical, technical skills with a positive mindset and an openness to knowledge, you will be successful in evolution to your desired goal. I have a tremendous passion to share the benefits of being fit; mentally & physically healthy. I love all things that will enrich life. I will meet you where you are at and bring you to the next level with your commitment to yourself and to my development program. I can direct, assist and support you to achieve your goals and build the lifestyle and body you desire by overcome obstacles empowering the mindset and improving knowledge of a healthy, rounded lifestyle. Vitality, longevity and energy come through basic building blocks and consistent work toward a more elite athletic and nutritious lifestyle. I offer indoor/outdoor training. I will train in Langley and in East Vancouver at Posener’s Pankration MMA Dojo. My training skills include High Intensity Interval Training (HIIT), CanFit Pro, Level V Cardio Muay Thai & Kickboxing, Weight Training, Overall Body Conditioning and Nutrition Counselling with nutrient dense & healthy recipes. If you love to sweat, if you’re willing to give 110% to yourself and your goals and want to rise to the next level, spaces available now. First session is free. I will provide a free consultation to first discuss your goals and your obstacles and then we will have our initial workout. When I spoke at the U.S. Military Academy at West Point recently, I was the one who walked away inspired, having gained some incredible life insights, which I wrote about in last week’s blog. In addition, I was invited to be a guest lecturer, where I shared with cadets the habits of some great leaders—coaches and executives—I’ve worked with in the past. 1. You can’t lead people you don’t know. As a leader, it is important to know your colleagues on a level beyond the workplace. In the case of a West Point cadet, they told me, this simple notion could actually save lives by having a deeper sense of each other’s health, safety, fears and motivations. No matter your occupation, this lesson is essential in building camaraderie and trust within a team. 2.You have to lead the team you have, not the team you want. There isn’t a coach in the NFL who wouldn’t like to have Tom Brady or Peyton Manning as their quarterback—but only two coaches actually do. The other coaches have to work with the team (and the quarterback) that they have. So quit thinking about the advantages others have and build your own! We should look for opportunities to grow our own team to reach its maximum potential because the grass is not always greener on the other side. 3. There is no success without a successor. You have to constantly be invested in the training of other people. Be mindful of opportunities to teach those under your leadership. Great leaders know the value of sharing their own wisdom, strengths and weaknesses with others. If you desire to lead others, then you should also strive to create successors. It is your responsibility to not let the knowledge and experience you have gained over the years to be lost when your time in service is complete. 4. You need to have a mentor and also be a mentor. The importance in establishing relationships with mentorsis that they allow you to grow, and these relationships will one day lead you to play a part in the growth of others. These moments are often informal, and they are often not listed on checklists for success. But we need to be well-prepared to learn the most we can from these opportunities for meaningful engagement with those who have paved the road for us. 5. You have to be a lifelong learner. If you want to be a successful leader, you have to pursue opportunities to learn. Be a sponge and constantly soak up ideas, lessons and stories from others that you believe can impact you. Great leaders know that there is always something more to learn. “It is what you learn after you know it all that counts,” is one of my favorite John Wooden quotes. 6. Storytelling holds power in leadership. If you want to be a leader, you have to learn how to tell your story. The best storytellers always win. I reminded the cadets that less than a hundred miles south of West Point there were men who flew airplanes into buildings a few years ago because someone told them a story of bitterness and blame that they believed, and their choices and ideology were affected as a result. This example was a little graphic, but the cadets immediately understood it. I challenged them to use their own story to inspire others toward positive action and meaningful growth. The opportunity to connect with the cadets at West Point left me with an incredible sense of gratitude. They have chosen sacrifice and selfless service. If they are our future, we are all in great hands.